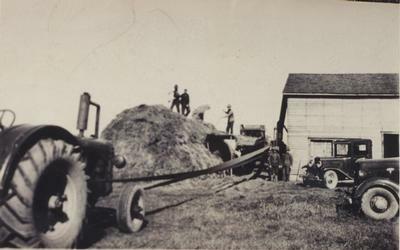 A Will Neilson threshing machine blowing straw in a building which is a machine shop now. circa. 1939 or 1940.